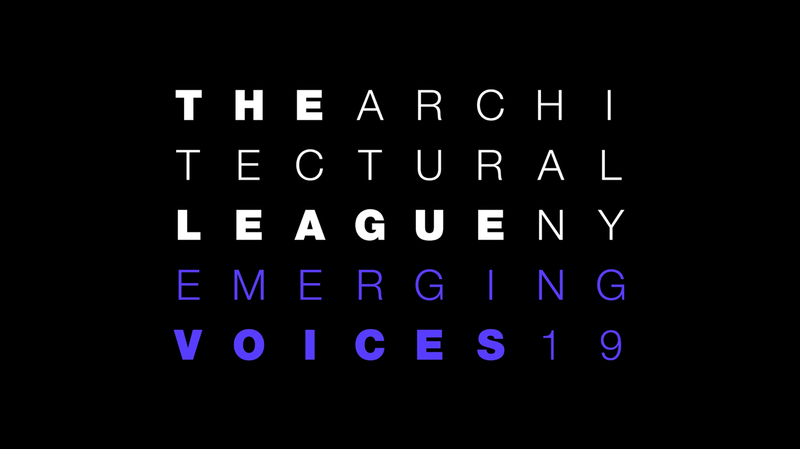 Waechter Architecture is honored to announce we've won the 2019 Emerging Voices Award presented by The Architectural League of New York! Running for over 35 years, the Emerging Voices program selects individuals and firms with distinct design voices that have the potential to influence the disciplines of architecture, landscape architecture, and urban design. A selection of past winners include Steven Holl (1982), Morphosis (1983), Deborah Berke (1993), Michael Maltzan (1998), Rick Joy (2000), and Studio Gang (2006) among many other esteemed firms. A jury of previous winners and practitioners chose eight international firms as part of a two-stage selection process. A big congratulations to the other firms selected including Colloqate (New Orleans), Davies Toews (NYC), FreelandBuck (NYC), Ignacio Urquiza, Bernardo Quinzaños, CCA (Mexico City), MODU (NYC), SCHAUM/SHIEH (NYC/Houston), and Uufie (Toronto). 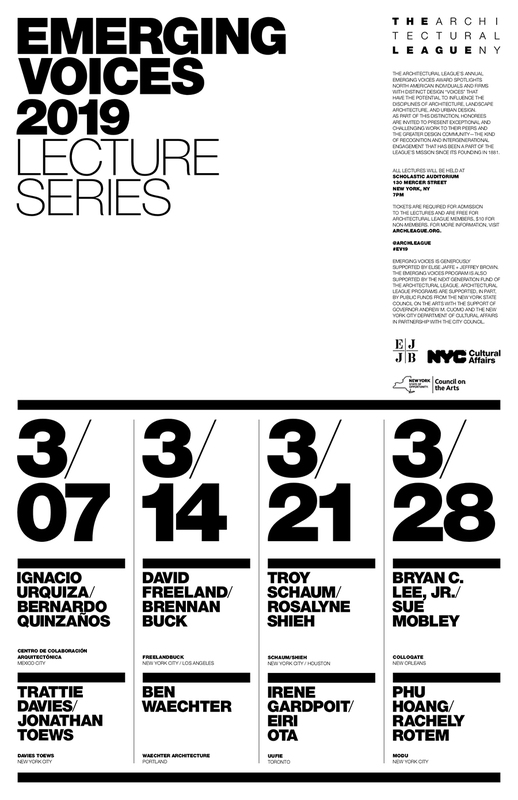 As part of the award, Waechter Architecture principal, Ben Waechter will give a lecture focusing on the firms formal and conceptual exploration of clarity on March 14th in NYC.